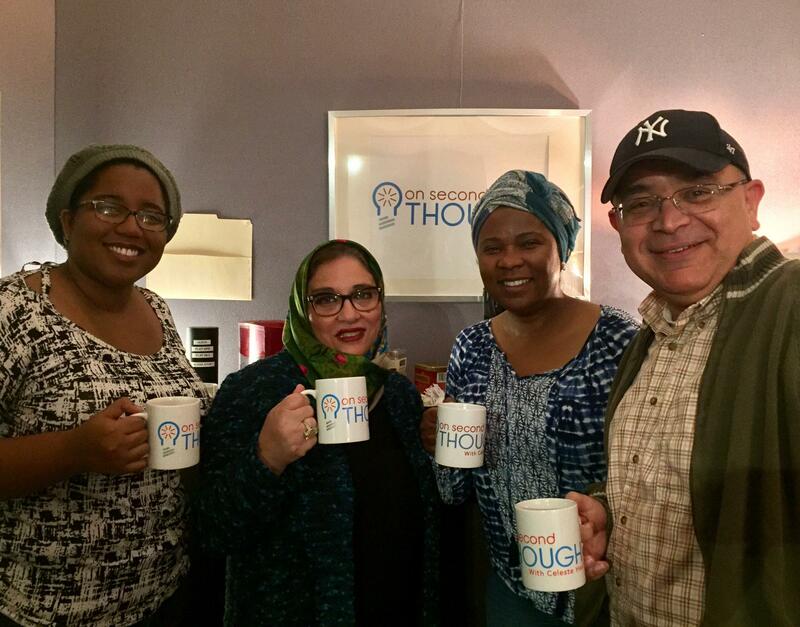 Breakroom guests Amber Scott (left), Soumaya Khalifa, Tanya Washington and Héctor Fernández joined On Second Thought Friday, April 6. Host Adam Ragusea discusses the biggest news items of the week with Breakroom guests Tanya Washington, Soumaya Khalifa, Amber Scott and Héctor Fernández. Tanya Washington on slow progress achieving King's 'dream': "When I look at the recent rash of police shootings, it's clear to me that the color of people's skin is still being used as a yardstick for the value of their lives, and so it's very hard for me to say, given that reality, that we have realized the dreams that King spoke about." Amber Scott on racial slurs thrown around after Griffin proclaimed April Confederate History Month: "If doing something like that is going to create a situation where a large part of the population is feeling intense hatred and danger and like they can't leave the house because people are out here celebrating something that is so hurtful to us, why would you want to build rationalities about that?" Washington on the lack of affordable housing in Atlanta: "If we don't do something, then the people who have made Atlanta what it is will not be able to live in Atlanta. And at first this was just affecting really poor people, and so there wasn't as much interest in addressing the housing affordability crisis and housing justice issues. Now it's about to affect everybody." Soumaya Khalifa on the wave of teacher strikes in the South: "If we don't pay teachers, people are not going to take on that profession. And then what's going to happen to our educational system? And if we really want to keep America great, we need to concentrate on education and put that as a priority versus not." Scott on an Atlanta school play in which children wore blackface masks: "I think that they should be apologizing. I think that this is a really good case of ... regardless of your intentions or rationality, this was a big lapse of judgment and the optics were just so bad. It was really offensive to a lot of people and for good reason." Héctor Fernández on Georgia State Rep. Allen Peake's push for a change to the state's medical marijuana laws: "I think it's high time we legalize the production of cannabis oil within the state. Lots of families need it. I can only endorse [Georgia State Rep. Allen Peake]. 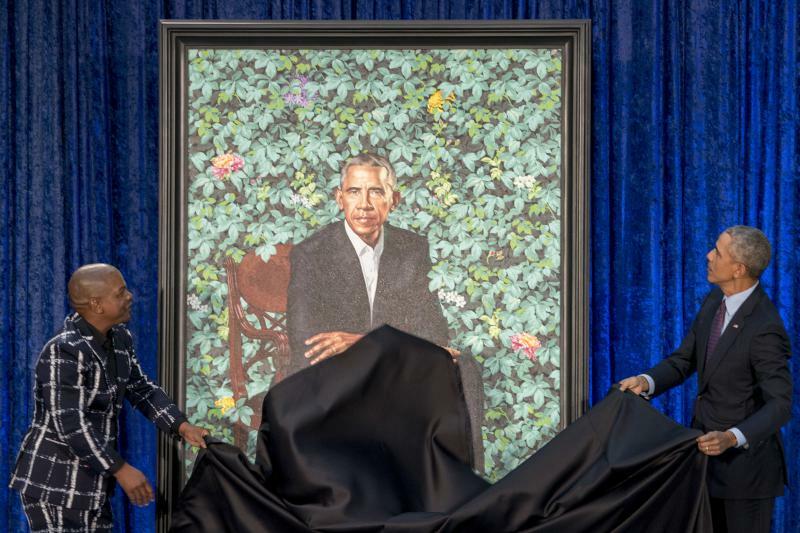 I think he's done great." Khalifa on Sinclair Broadcast Group's viral script on the "one sided news stories plaguing our country": "This is extremely dangerous to our democracy and Sinclair ... their stations are the ones who are promoting fake news. It's just very troubling for me." On this segment of "The Breakroom", the gang talked about the importance of a parent’s blessing when finding true love, the appeal of reality TV breakups, and whether certain books should be banned.